WICHITA, Kansas Talks to sell Hawker Beechcraft's operations to China's Superior Aviation Beijing have collapsed and the U.S. plane maker said Thursday that it now plans to emerge from bankruptcy protection as a slimmed down company in the first quarter of 2013. "Despite our best efforts, the proposed transaction with Superior could not be completed on terms acceptable to the company," said CEO Steve Miller. "We are disappointed that the transaction did not come to fruition, but we protected ourselves by obtaining a $50 million deposit that is now fully non-fundable and property of the company." After emerging from bankruptcy the company plans to rename itself Beechcraft and focus on its most profitable products. Chairman Bill Boisture says the company will push for growth in its high-performance single and twin engine piston and turboprop aircraft, special mission variants, and multi-role light attack and trainer planes. The company said it was evaluating other products, including the sale of some product lines or a closure of the entire jet business. Superior Aviation chief executive Tim Archer did not immediately respond to an email seeking comment. 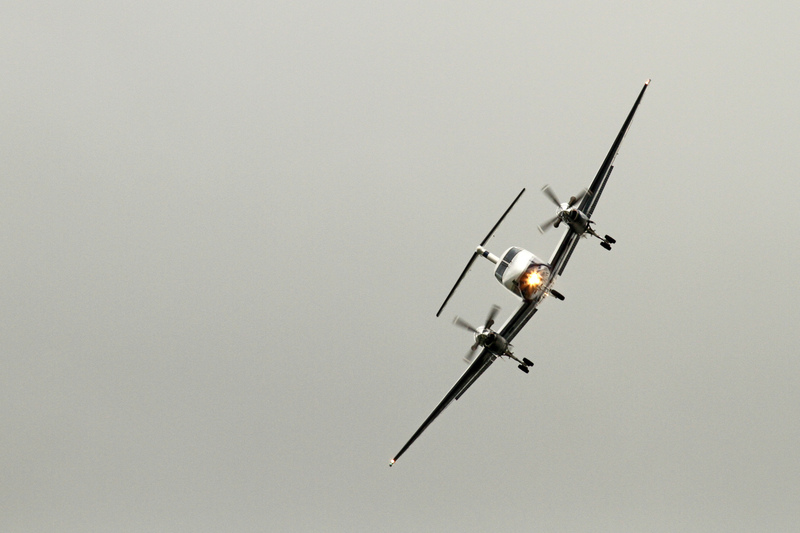 Hawker Beechcraft filed for bankruptcy protection in May. The court approved exclusive talks with the Chinese firm that had offered nearly $1.8 billion to purchase the company's business jet and other aviation operations. "It is easy to overrate China as an investor in this business and here was a company in real desperate straits - and they saw what they wanted to see no matter how unrealistic," said Richard Aboulafia, an aviation analyst with Teal Group who had been skeptical of the proposed transaction with Superior since the talks were first announced. Aboulafia is not optimistic now either about the ability of Hawker Beechcraft to sell its business jet lines, saying those operations involved too much risk and not enough reward. Conceivably someone could rescue the Legacy Hawker 800 series of aircraft, the best part of its business jet lines. "The sad truth is that the part of the company that is saleable is the same part that is survivable alone - the aftermarket, the military, the King Air and propeller planes," Aboulafia said. "You are dancing around the big elephant - which is their business jet lines - which look doomed." It was unclear what impact the possible loss of those manufacturing product lines would have on job numbers, but Aboulafia said at one time the business jet lines were the "overwhelming majority" of Hawker Beechcraft's business. Machinists spokesman Frank Larkin said a lot is going to depend on what happens next, noting the company's announcement of plans for a standalone business does not yet have many details. Last month members of The International Association of Machinists and Aerospace Workers voted to freeze their pension plan, concerned they might lose it during the aircraft maker's restructuring. They overwhelming agreed to support a proposal that retains pensions for hourly employees and retirees while freezing future accruals starting Dec. 31. It also creates a new retirement income savings plan and retains a company-sponsored retirement plan. "Today's developments do not cancel or modify the terms of the pension agreement that was ratified by IAM members in August," Larkin said. Hawker Beechcraft plans to schedule a Nov. 15 hearing on an amended reorganization plan. The company said its key stakeholders, including a majority of its secured bank debt and unsecured bond debt, have agreed to support the reorganization plan, subject to court approval of the amended filings. Other creditors, including those holding secured debts prior to the bankruptcy petition, as well as those holding unsecured claims, will instead receive equity in the new company at negotiated percentages. Hawker Beechcraft is owned by Onex Partners and GS Capital Partners, a Goldman Sachs (GS) private equity fund. It has struggled with the sluggish business jet market more than other manufacturers because it was purchased in a highly leveraged deal at the peak of the general aviation market, just before it tanked. Hawker Beechcraft, which employs roughly 5,420 people worldwide, has factories in Little Rock, Arkansas; the United Kingdom; and Mexico, as well as more than 100 service centers worldwide.